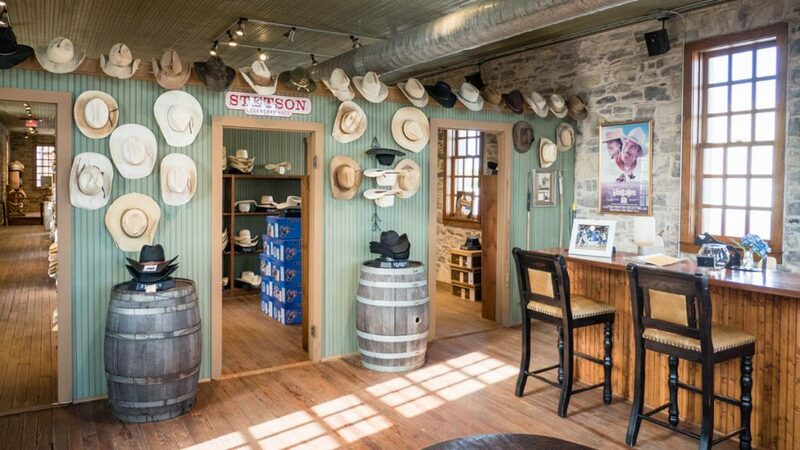 A good cowboy hat is a must for the western at heart. 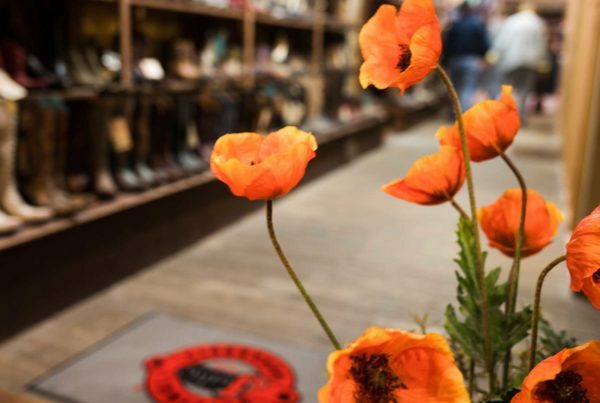 But what’s the real science behind that iconic and timeless hat worn across the American west by buckaroos, bandits and ranchers, since before 1865? 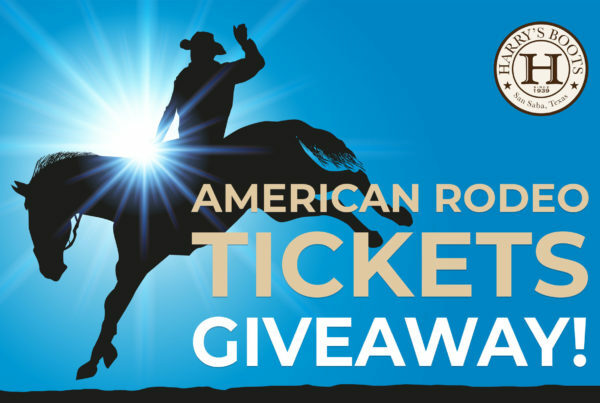 The cowboy hat, as we know it, evolved from the original Vaqueros, or Mexican Cowboys, who wore wide brimmed, high crowned sombreros while herding cattle. The cowboy hat was designed to protect working cattlemen as they toiled, all day long, under the hot western sun. Nowadays, cowboy hats are worn for all sorts of purposes, from special occasions to a hard day’s work. There’s always a good reason to wear a cowboy hat. WHAT ARE THE DIFFERENT TYPES OF COWBOY HATS? 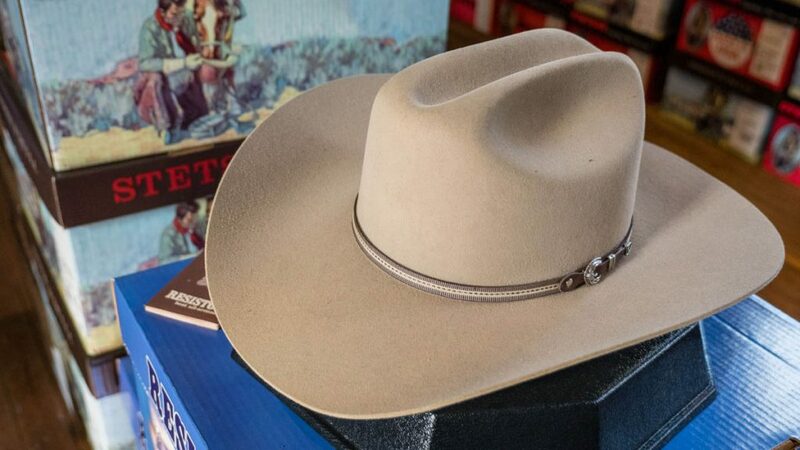 Almost all cowboy hats come in one of two materials: straw or felt (sometimes they come in leather, but not nearly as often). 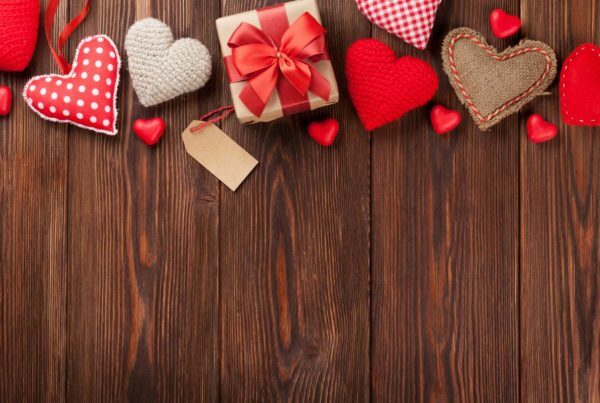 Both materials serve different functions and have individual benefits. So, when’s the best time to wear felt vs. straw? Traditionally, it’s the same rules as the color white during labor day. This simply means straw for summer and felt for winter. But, like any good cowboy knows, the rules don’t always apply. Let common sense be your guide when choosing which type of hat you prefer. Straw hats originated thousands of years ago. Making headgear out of lightweight, straw-like material has been a tradition in almost every society in history. So, of course the tradition was adopted during the Wild West era, as an answer to the sweltering desert heat. Some straw hats can be more casual, with a floppy brim and a loose weave. 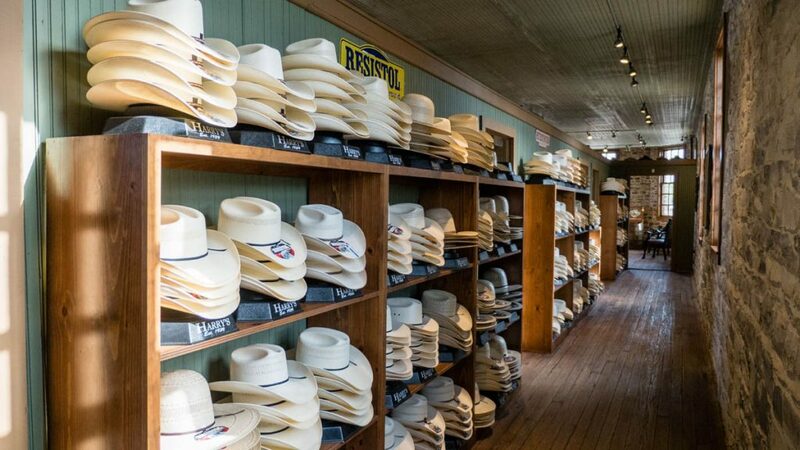 A well-worn straw cowboy hat is the perfect accessory to throw on during the summer. For a more elegant look, there are straw cowboy hats with tightly woven, detailed designs, and sealed for protection and to retain shape. Historically, felt hats served more purposes than straw, at least for the old-school cowboys. It protected them from the sun during the day, and warmed them in the night, when desert temperatures dropped. A felt hat could even hold water for their thirsty horse, or adequately fan a campfire flame. 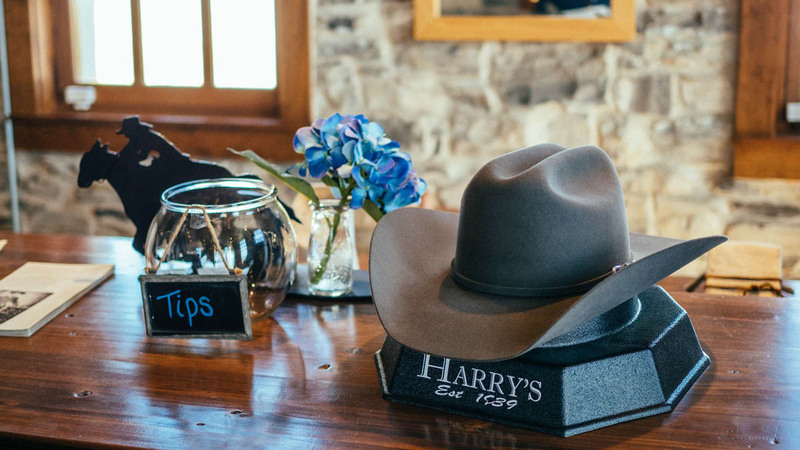 Felt hats are part of a more classic cowboy look, and can be dressed up or down. They can be made of wool or animal fur, dyed any color, and are great protection from moisture and cold. WHAT ARE THE PROPER TERMS FOR COWBOY HATS? The Crown– This is the top part of that hat, where the head goes. It’s pretty obvious. The Crease– This is a pinch or indent that shapes the crown. This is the most traditional style featuring a 3 part top crown crease, and is typically paired with a curved brim. Also Known as the “Open Crown”, this hat has a crease-less crown. Historically all cowboy hats began with this shape. The dual pinches on the crown create a V-shape from above. This crown is popular among a wide variety of hats including cowboy. 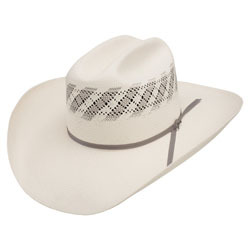 The crown of this cowboy hat is pinched on 4 corners making a square shape and is popular among bull riders. The Brim– This is the wide, overhanging material that wraps the circumference of the crown. 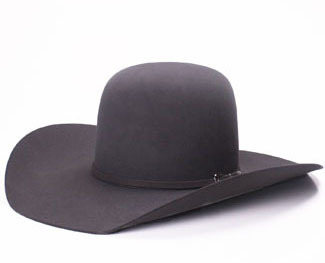 This brim is typically combined with a pinch front crown and is less wide than the average cowboy hat brim. Usually it has one side rolled up slightly to give an asymmetrical look. HOW DO YOU CARE FOR A COWBOY HAT? Always store your hat with the brim facing up. 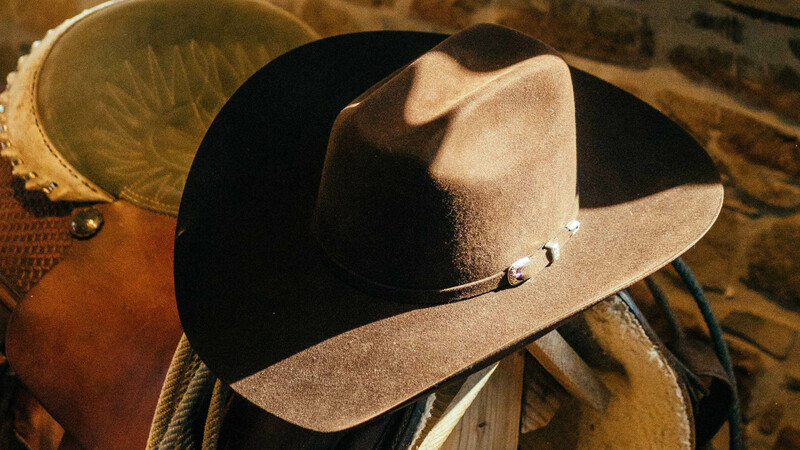 Laying a cowboy hat with the brim resting on a flat surface, like a table or dresser, over a period of time, will slowly warp the brim, causing it to lose shape. Always grab the cowboy hat by the brim. Grabbing the crown can crumpled or dent the crease. When adjusting your cowboy hat, be sure to grip the front and back of the brim. 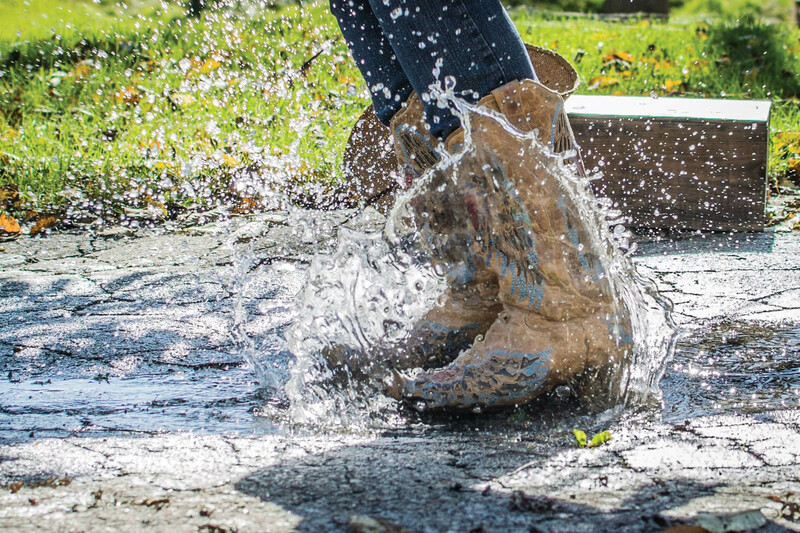 Straw or wool cowboy hats handle moisture well and may get wet without getting damaged. Just remember to let it air dry. Do not let your cowboy hat dry near a high heat source. This can cause your hat to expand and warp. HOW TO WEAR A COWBOY HAT? HOW SHOULD A COWBOY HAT FIT? When you first buy a cowboy hat make sure it fits snug around the head, so that it’s almost uncomfortably tight. 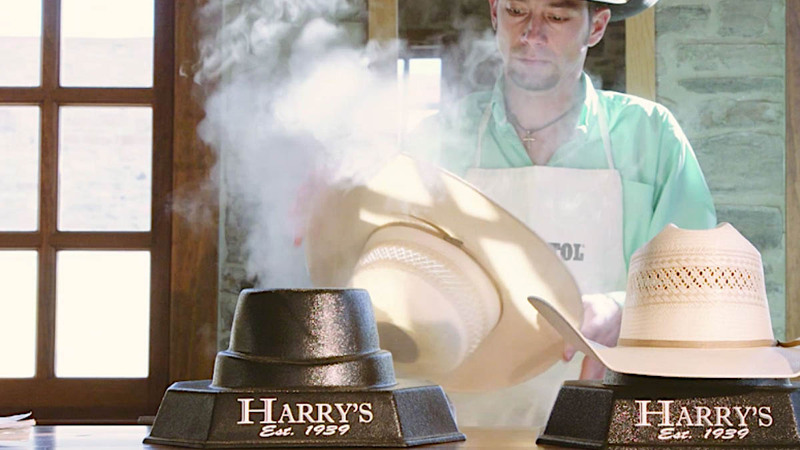 Cowboy hats expand with heat, and heat escapes from your head. So after wearing it for an extended amount of time, the hat will loosen up and conform to your head. You want straw hats to be a bit tighter than felt hats, because they tend to fly off in the wind. Felt hats are heavier and stay on better than straw hats. First make sure the hat is on the correct way. There is usually a little bow on the inside of the hat signifying the back, like a tag in a shirt. Add a little attitude to your look by finding the right way to angle your brim. Depending on your mood, and face shape (which we will address more below), the simple tiling of your cowboy hat can make all the difference. Appear more casual, like a lounging cowboy, by tilting the front of your hat up. Or slant it forward for more cowboy mystique. HOW TO FIT A COWBOY HAT TO YOUR FACE? If you have a face that is elongated and thin, wear a cowboy hat that’s not too short or tall, as both will exaggerate the length of your face. A medium crown height, that sits low on the forehead, will do just fine. 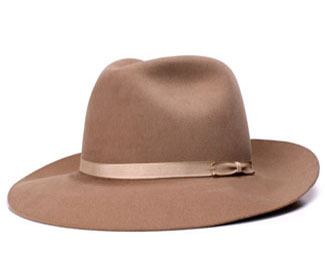 Avoid short or flat brims that overemphasize the long lines of your face, and go with a curved, wide brim. Balance your round face shape with sharp angles. A cowboy hat with a high crown and slanted brim will suit your face nicely. Asymmetrical shapes help counter your symmetrical face, and you can pump-up this effect by tilting your hat backwards, forwards, or to the side. 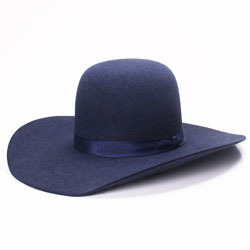 Avoid over-accentuating your face’s roundness with wide brims and rounded crowns. If your face is widest at the cheekbones and angular, but you have a short forehead and narrow jaw, then you want to elongate those features. 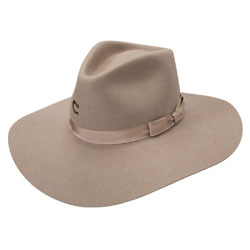 Try a moderate to wide brim, with a shallow crown, so the hat can be worn further back on the head. Avoid floppy hats that can shorten and cast strange shadows on your angular features. If you have a square jawline, a wide forehead, and strong cheekbones then you want to wear hats that soften your harsher angles. 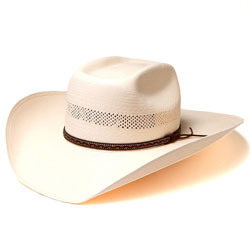 Rounded cowboy hats, with curved brims help counter your strong jaw. 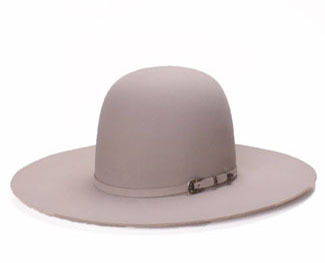 Even a floppy cowboy hat with a soft brim contrasts nicely with a boxy face shape.